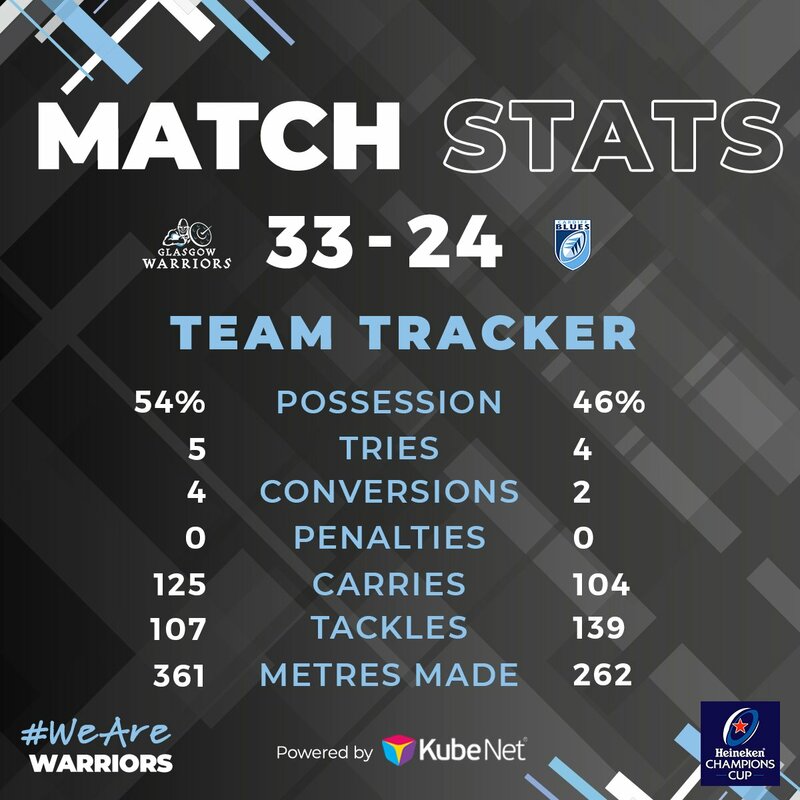 Glasgow Warriors have won 100 rucks so far this game. Brandon Thomson hits the right post with the conversion, failing to add the two points. Glasgow Warriors are stopped just a few metres from the try line but George Horne picks up from the base of the ruck to score the try. 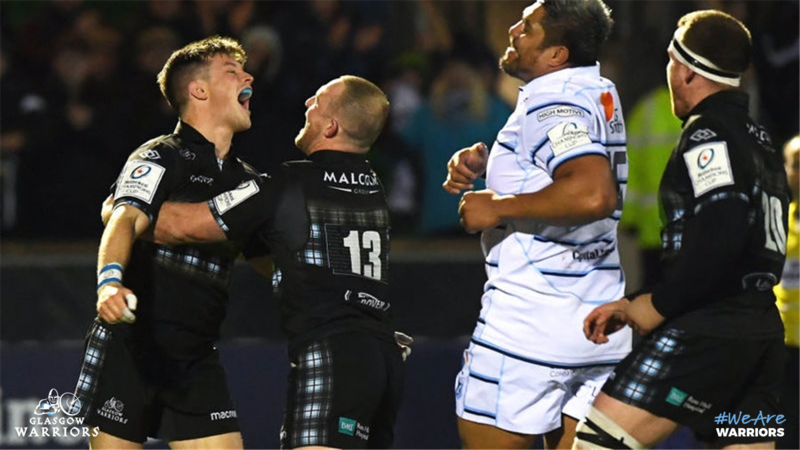 What a run here by George Horne as they gets over the gainline!. Surely there's going to be a try here - but no!!! Seb Davies saves the day with a real try saver of a tackle. Rory Thornton has made 10 good tackles so far this game. The touch judges raise their flags as Jarrod Evans kicks the conversion. Owen Lane makes the break as the defence re-enacts the parting of the red sea. A wonderful passing move by Cardiff Blues is finished off by Owen Lane. Cardiff Blues have won 80 rucks so far this game. Grant Stewart has made 10 good tackles so far this game. Cardiff Blues decide to make a substitution, with Aled Summerhill getting some game time. Cardiff Blues decide to make a substitution, with Tom James being replaced. Nick Grigg has made 10 good tackles so far this game. 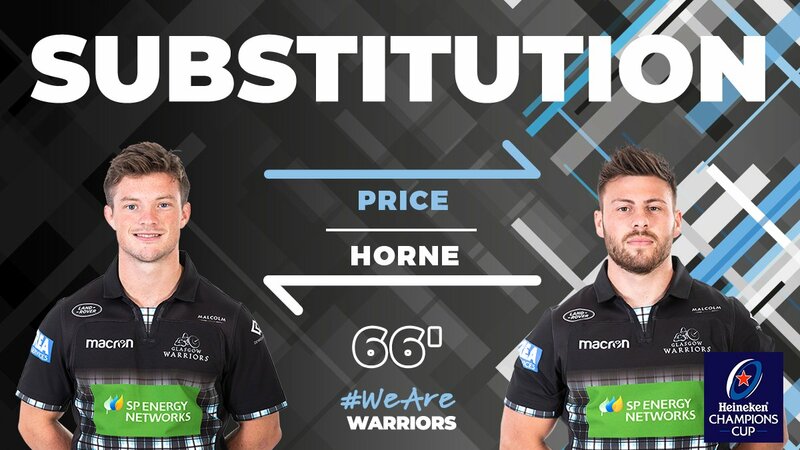 Glasgow Warriors make a substitution with George Horne coming on. 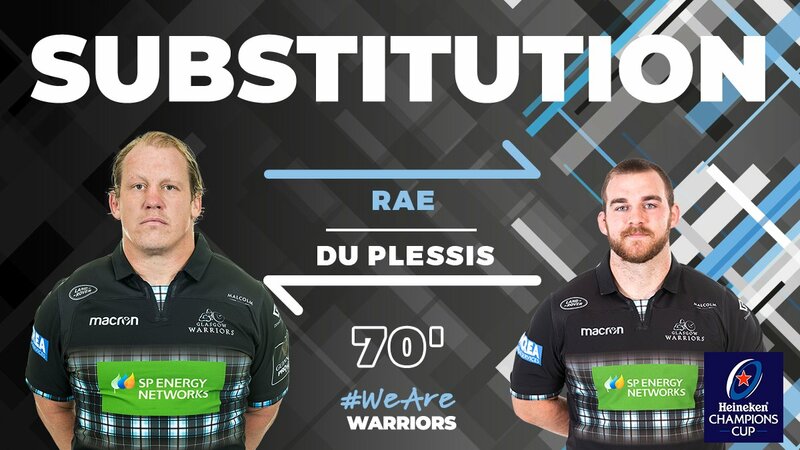 Glasgow Warriors make a substitution with Ali Price coming off. Jarrod Evans adds the two points for Cardiff Blues. Fabulous play by Cardiff Blues has led to Josh Navidi being able to wriggle through a gap. Harri Millard sets up the try. A series of passes by Cardiff Blues results in a try for Josh Navidi. Trouble here as Owen Lane breaches the defence. Willis Halaholo has made 10 good tackles so far this game. Cardiff Blues sub Macauley Cook comes onto the field. George Earle departs for Cardiff Blues. 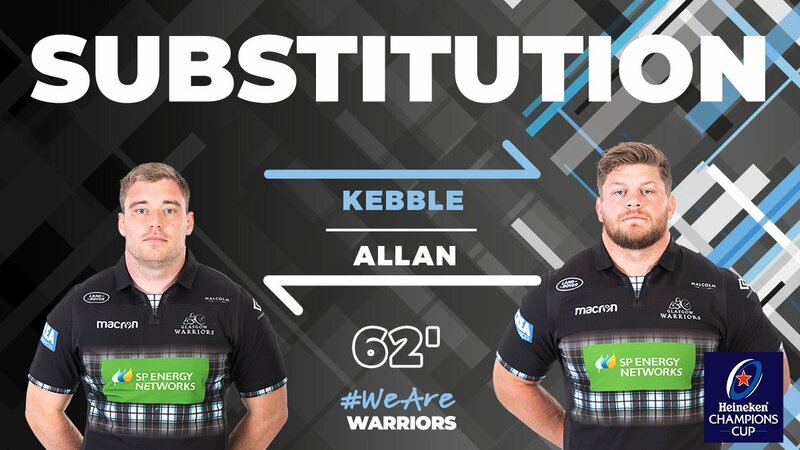 Alex Allan comes on for Glasgow Warriors. Oli Kebble leaves the field. Brandon Thomson does the business as his conversion attempt goes over. Spellbinding play by Ali Price is finished off with a try. Oli Kebble scores the try from close range. Jarrod Evans curls the ball too far, missing the posts to the right. This is dangerous for the defence as Harri Millard bursts through to advance the Cardiff Blues attack. Owen Lane played a key part in that try. Great hands by Cardiff Blues leads to a try for Harri Millard. A gap opened in the defence and Rhys Carre took full advantage. The defensive line has been broken as Stuart Hogg goes through the gap. What a run here by Harri Millard as they gets over the gainline!. Stuart Hogg makes the break as the defence re-enacts the parting of the red sea. Cardiff Blues decide to make a substitution, with Scott Andrews getting some game time. Cardiff Blues decide to make a substitution, with Dillon Lewis being replaced. Cardiff Blues make a substitution with Nick Williams coming on. Cardiff Blues make a substitution with Shane Lewis-Hughes coming off. Brandon Thomson makes no mistake with that conversion attempt. Nobody could stop that maul! Chris Fusaro places the ball down for the try. Fabulous play by Glasgow Warriors has led to Tommy Seymour being able to wriggle through a gap. Shane Lewis-Hughes has made 10 good tackles so far this game. Cardiff Blues have won 60 rucks so far this game. Cardiff Blues sub Ethan Lewis comes onto the field. 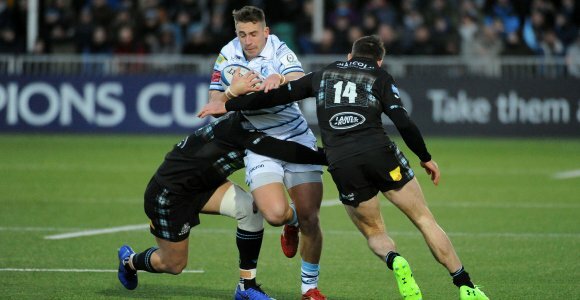 Matthew Rees departs for Cardiff Blues. That's a great try assist by Dan Fish. Steve Shingler has hooked the conversion to the right of the posts. The kick through from Cardiff Blues has allowed Owen Lane to touch down. Brandon Thomson converts the try. Ali Price sets up the try. Glasgow Warriors are only a few metres out, surely they must score! And they do with Scott Cummings touching down. A gap opened in the defence and Scott Cummings took full advantage. Try saving tackle made by Matthew Rees. The defensive line has been broken as Tommy Seymour goes through the gap. Brandon Thomson has kicked a conversion. The Glasgow Warriors pack has powered over for Grant Stewart to score the try. Cardiff Blues have won 40 rucks so far this game. Scott Cummings has made 10 good tackles so far this game. Cardiff Blues have won 20 rucks so far this game. Chris Fusaro comes on for Glasgow Warriors. Callum Gibbins leaves the field. What a tackle there by Lloyd Williams as he saves a certain try!. 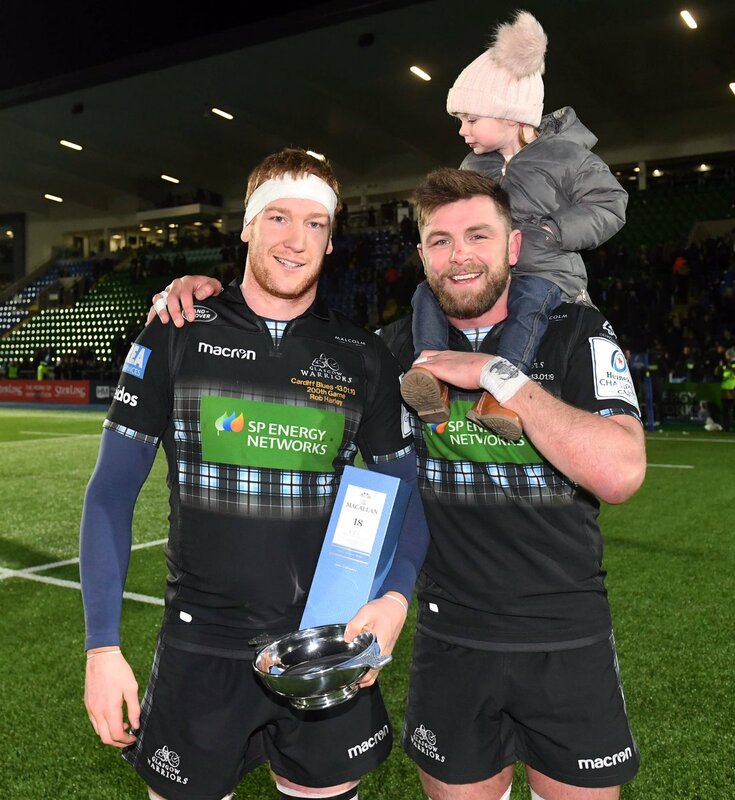 Next up at Scotstoun we play @ospreys in @PRO14Official on Friday 25 January. @claylizhew Hi Claire, sorry to hear that. 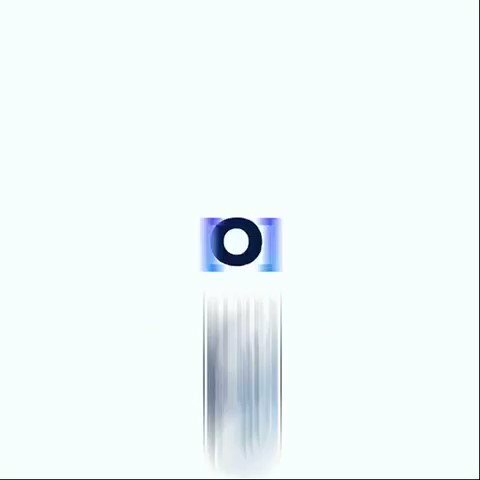 Players didn’t spot where you were. Your support, as always, is massively appreciated. Plenty to be proud of in that performance but ultimately not enough. 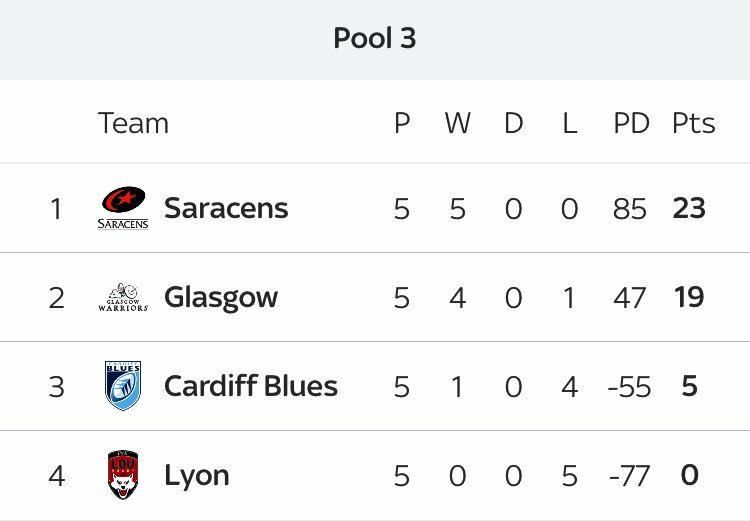 Glasgow hammering away but Cardiff Blues defence is hanging on. Home side held short. It is now Glasgow on the attack as they kick to the corner. The line out is disrupted but Glasgow remain in possession. 71 | Jarrod Evans adds the extras to make it 28-24 to the hosts. 70 | We opt for the scrum, just over five metres out. Aled Summerhill for Tom James. Great to see TJ back! 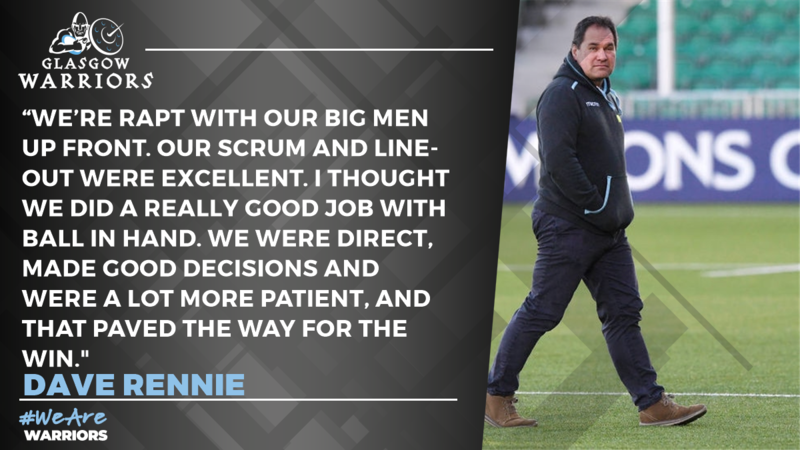 Cardiff Blues are back on the attack and playing with advantage. Good attacking play as James, Halaholo and Lane combine.